18 kt white gold 5.5 mm wide comfort fit wedding band. 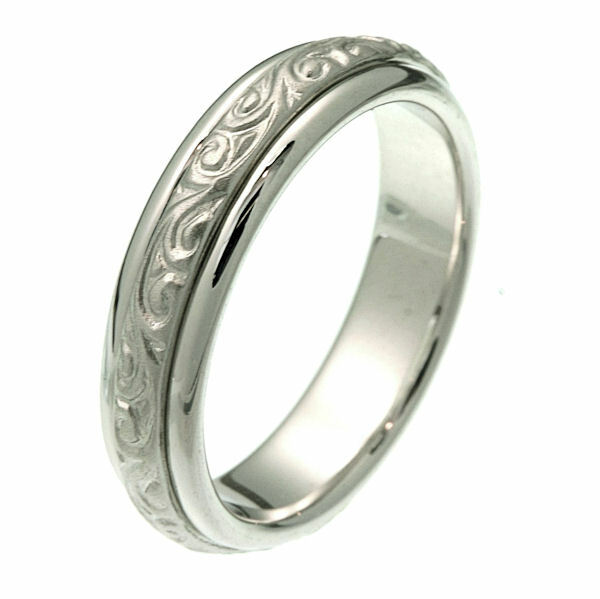 The ring has beautiful hand carved motifs in the center that is a matte finish and the edges are polished. It is 5.5 mm wide and comfort fit. 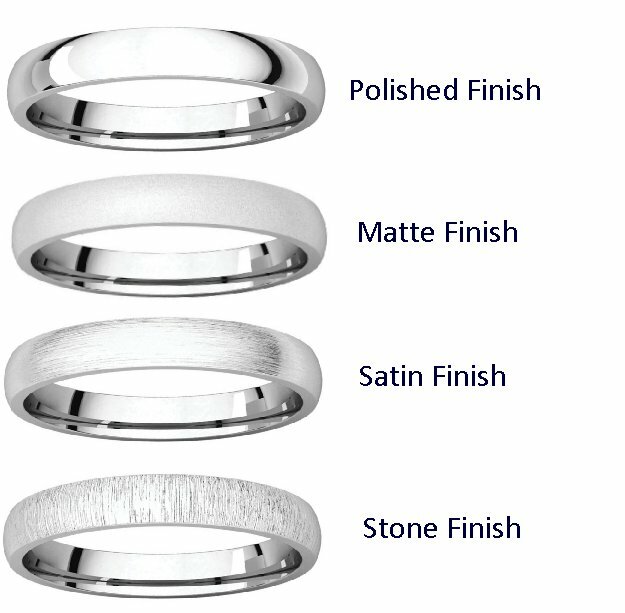 Different finishes may be selected or specified. 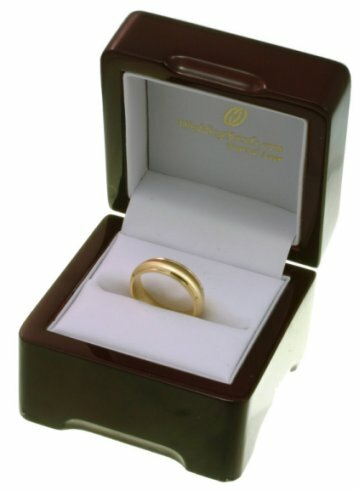 We loved the ring set looking nice and perfect design for us. Would recommend any friends to buy. They were fast and efficient but when we got the ring it didnt fit. I went to get it re-sized at a local jeweler and found out it was a fourth size larger than the size I ordered.